The Texas City de-constructed then constructed again in Clint Eastwood style, wish he would have been here to have a look at the interiors which are so uniquely done. 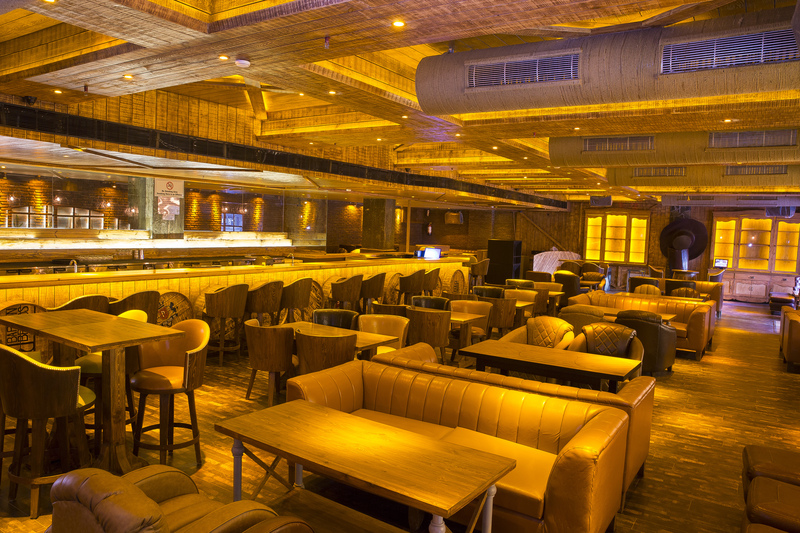 I am talking about the recently opened 3 Pegs Down in Saket- Umang Tewari’s another venture. Be it the cowboy hats, the big iron bell in the pistol world, the pistol shaped lighters, the criminal law books, the wanted posters, the barrel basin in the washrooms, the camel coloured beaded & pinned chairs which hook you for sometime and take you to another world. 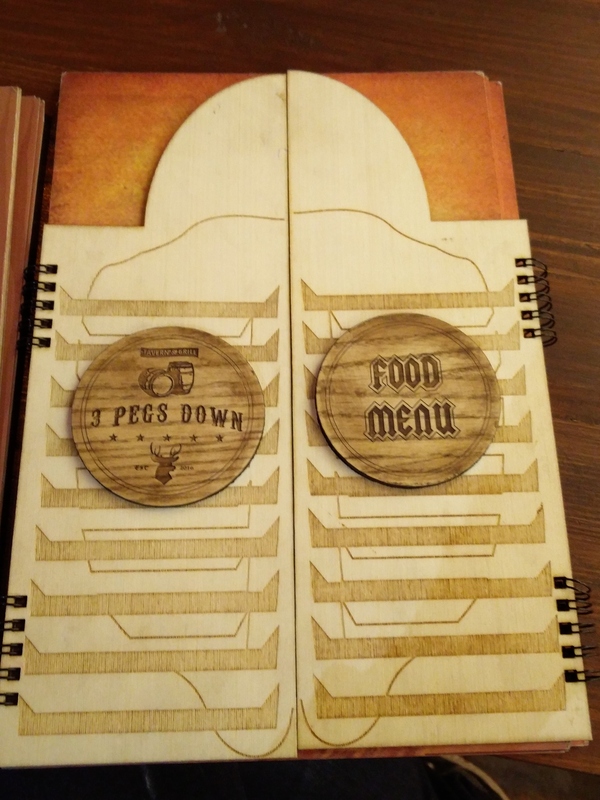 Even the servers were dressed in cowboy hats and funky leather jackets. 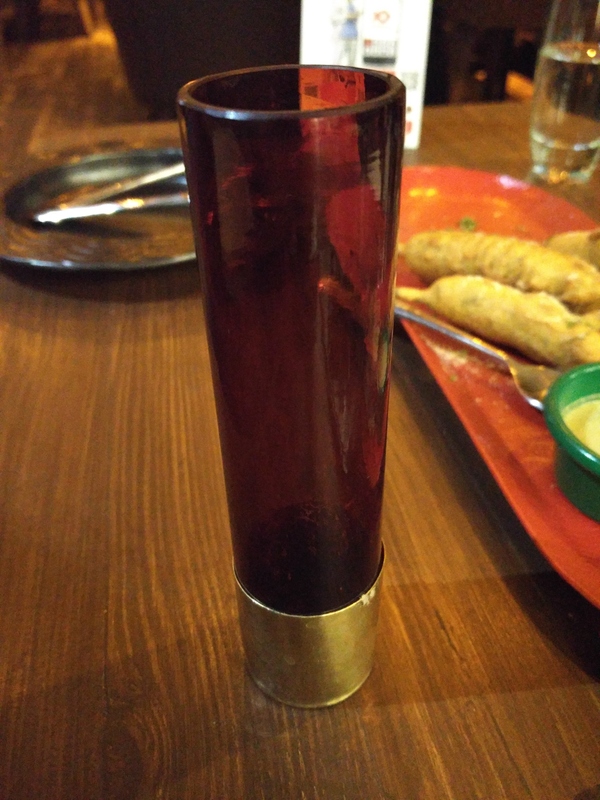 This place has a different Texas city feel & set-up with 100 mL red alcohol glasses unlimited for 2 hours, you get the mood & spirits up & going so 3 cheers to 3 pegs down. 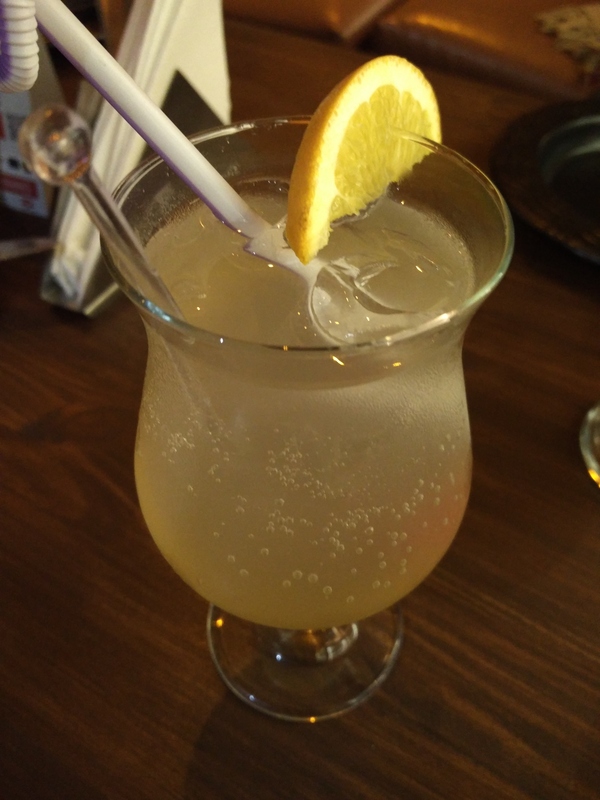 We started with Elder Flower Fruit Lemonade which was very sweet & had all the flavours of the fruit in the drink. Served in a tall glass, the Hazelnut & Butterscotch Shake was creamy, frothy & good. The Veg. 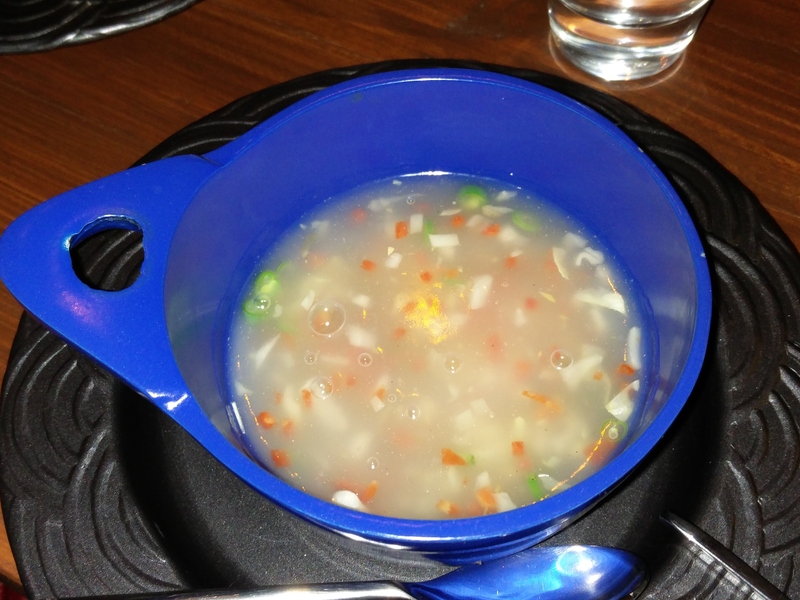 Sweet Corn Soup was nice with boiled vegetables tossed together in the soup. The soup was good & mildly flavoured. The Fattoush Salad with green veggies & crisp khaboos bread was amazing. It was tangy with cottage cheese & cherry tomatoes tossed in black pepper. 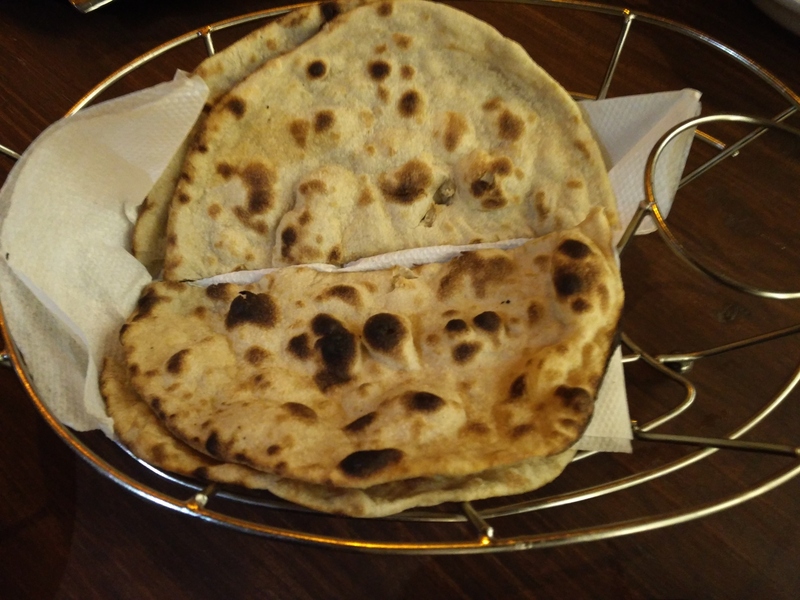 The Khaboos Bread on top was crispy like the desi namak pare. The Spicy Chicken & Corn Salad had paprika rubbed grilled chicken tossed with fresh lettuce, roasted peppers, sundried tomatoes & corn. 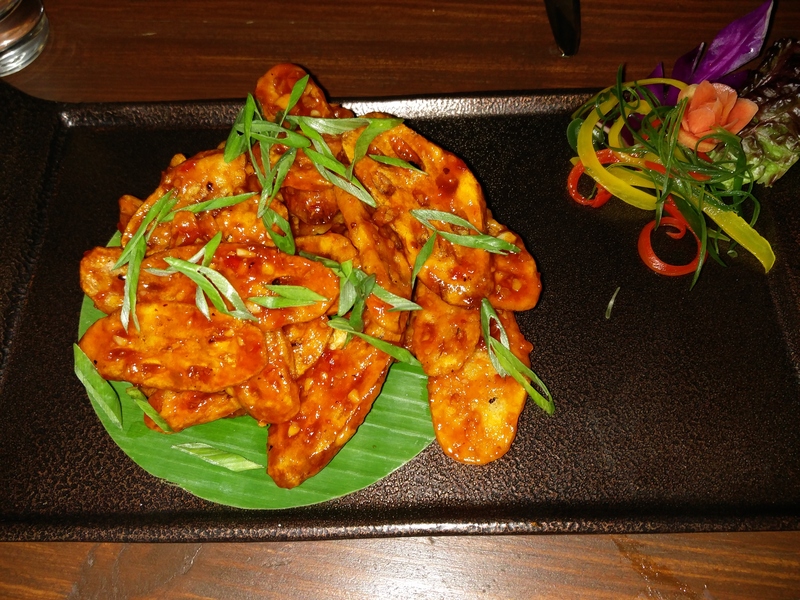 The chicken was soft & juicy and I loved the amalgamation of fresh herbs & spices. It was lovely & presented excellently. 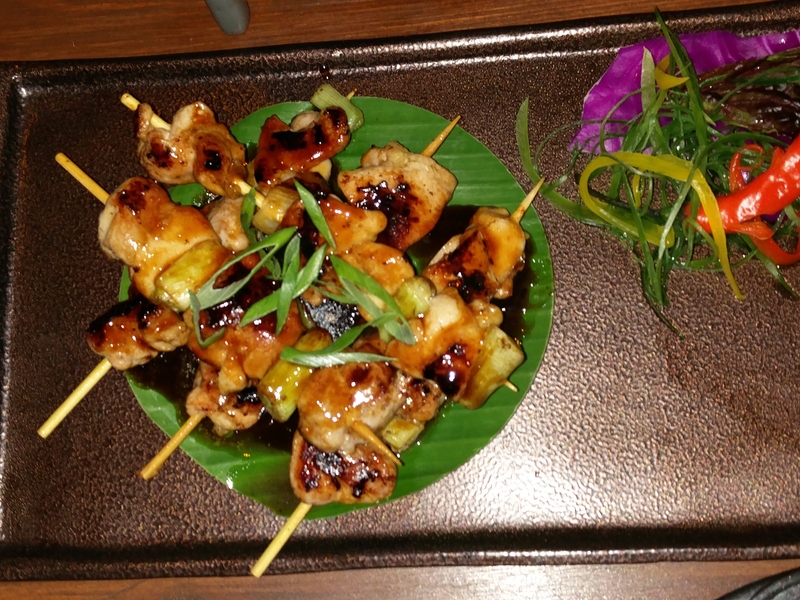 The Paneer Tikka served with mint chutney just melted in the mouth. 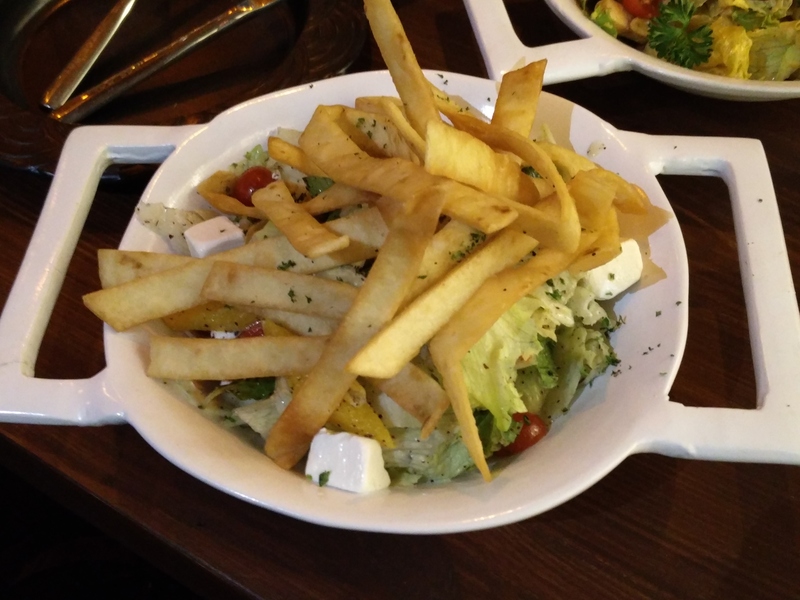 It was a little different from the regular paneer tikkas since it was cheesier & softer. Loved it! 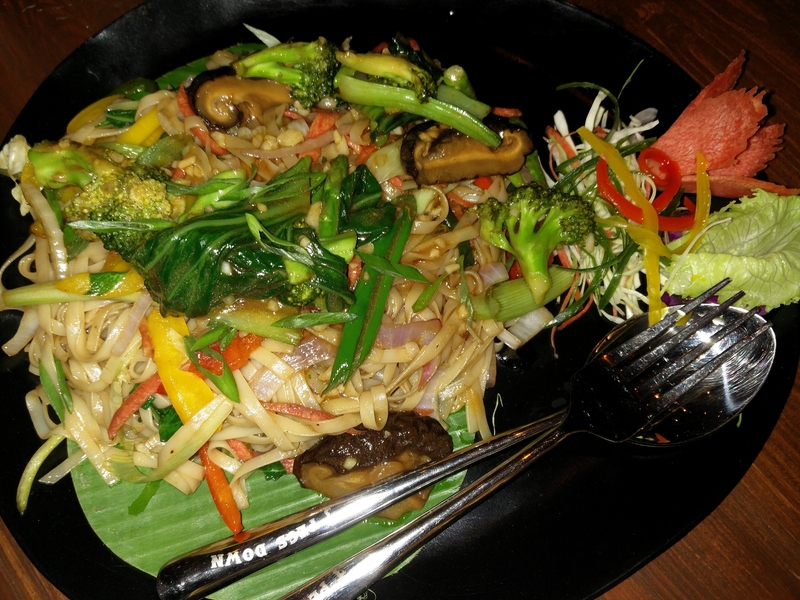 The Lotus Stem with sweet chilli home-made sauce was crispy, nutritious & delicious. Made with sweet chilli flavours, it overall gave a very nice new flavour & a new dimension to cooking standards & innovation by the chef. I must say it was superb! 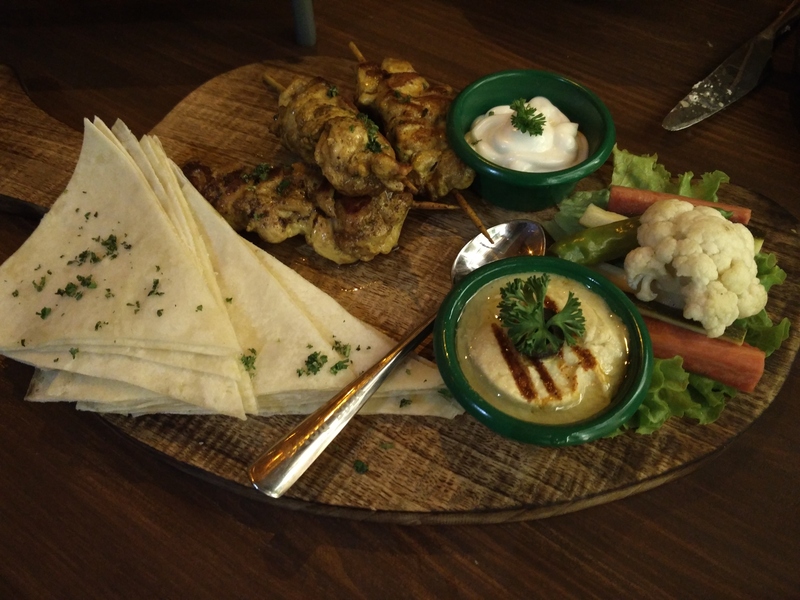 The Chicken Shish Touk was basically chicken skewers marinated in garlic & paprika served with pita bread, hummus & mayonnaise. It was also served with a side of carrot, cucumber & cauliflower on a bed of lettuce. The chicken was juicy & nice. The Teriyaki Chicken (Thai speciality) had a mild flavour of the Thai chicken though not very appetizing for my tastebuds. 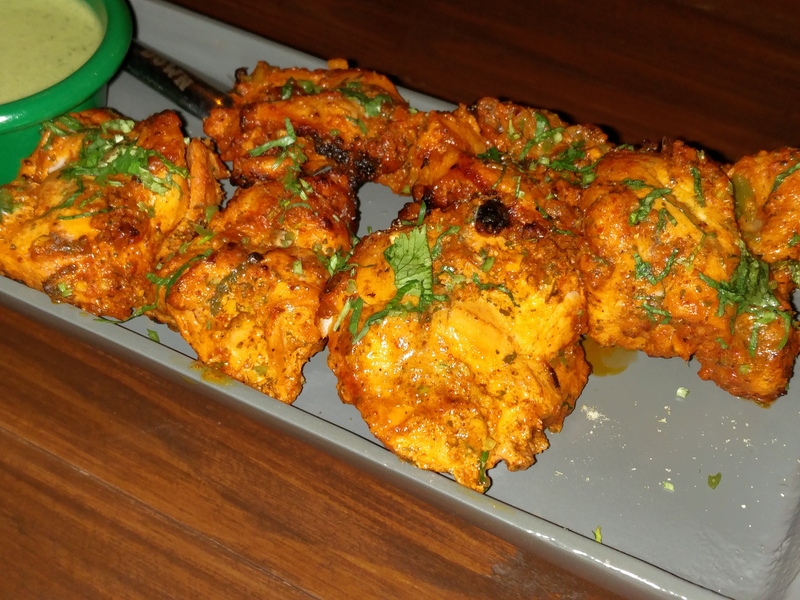 Next was Classic Chicken Tikka where cubes of boneless chicken were marinated with spicy Indian masalas adding the much-needed zing. In the main courses, I tried the Veg. Udon Noodles which were stir fried in a curry sauce with healthy veggies like shitake mushrooms, broccoli, asparagus & bell peppers. I loved the colourful presentation. The noodles were lovely. Much recommended! 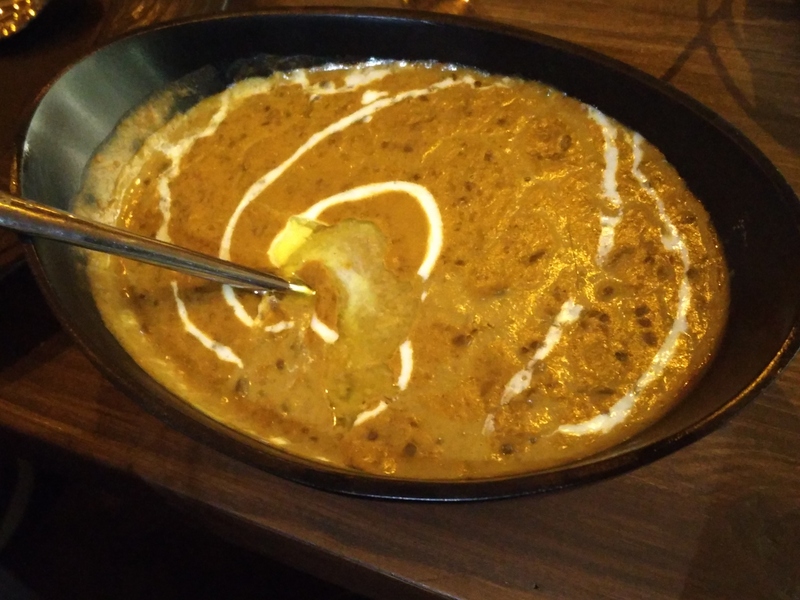 The Dal Makhani & Tandoori Roti were good with the dal made with the right consistency & the rotis being soft. 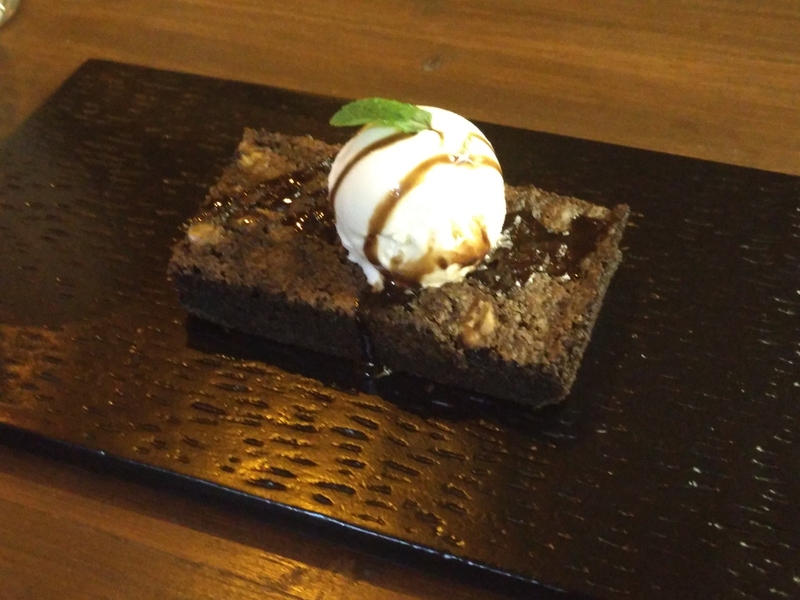 We ended our meal with the only dessert available here- Brownie & Ice-cream which was nice. In a candid conversation with Chef Dharam, he mentioned that he was interested in joining the army initially since he loves discipline but moved on to becoming a chef later. He has about 12 years of experience working in Vault Café, Garam Dharam, Café Public Connection, Junkyard Café & Summerhouse Café and belongs to MP originally. He loves cooking Chinese, Thai & Japanese. I’d love to come back here. 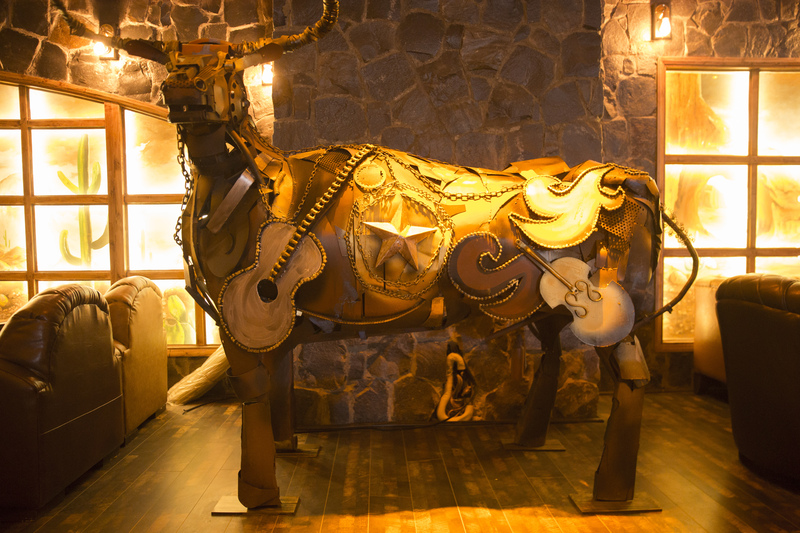 It’s a must visit for fans of Hollywood cowboy movies. 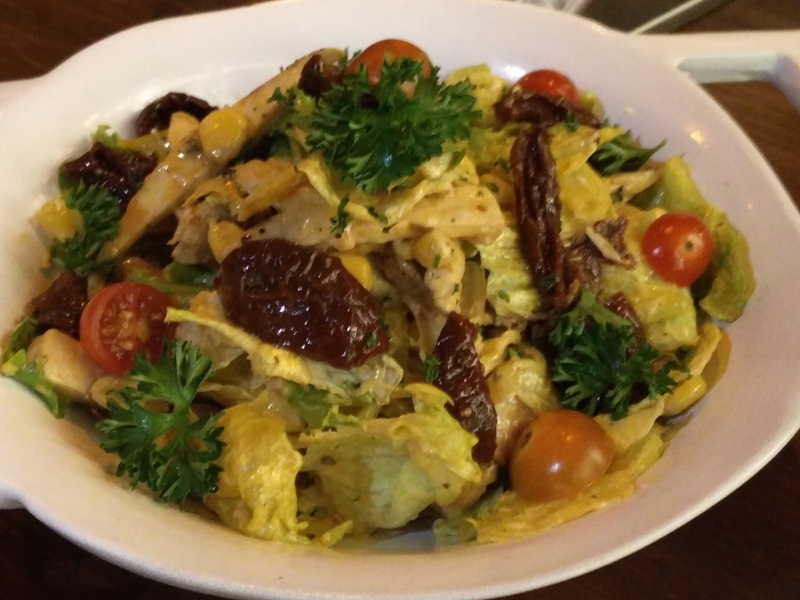 Loved my experience & the food- a mix of right ingredients & best quality cooked the perfect way.